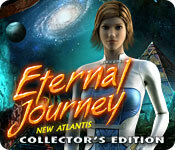 Eternal Journey: New Atlantis Collector's Edition is rated 4.7 out of 5 by 260. Rated 5 out of 5 by Bumbles2 from A space game well worth playing !!! Lots of fun and a very unique way of playing !!! Artistry is well done and the music is not monotonous as some are !!! I love reading the story line with all the games that I play and this one's story is very interesting and I wanted to know what happened next and why...and the story gave me those answers ...so don't forget to read !!! Some minor challenging area's but definitely doable with a little bit of strategy and brain power !!! All in all....this was a delight to play...try the demo and you'll see what I mean !!! Have fun all !!! Rated 5 out of 5 by Gala_Day from This is my favourite game I bought this when it first came out. I've just finished replaying it for the 4th time and realised I never wrote a review. It's the most fun I've had playing a game, and when there are no interesting games out it's a great one to go back to. I enjoyed the storyline. The graphics and sounds are atmospheric, the cut-scenes are not over-done like in some games. The HO scenes are fun and I still find them different enough to enjoy playing them. It's a long game with lots of to and fro but that's what the jump map is for :-) It's obvious the devs put a lot of though and effort into this one, I wish there were more like this around. Rated 5 out of 5 by atteckwhite from Wonderful Game Bought this a few years ago. It felt like such a departure from the normal fantasy/magic genre, but in a good way. Great story and addictive gameplay. Brilliant!! Rated 5 out of 5 by smilingsun72 from Excellent Sci-fi adventure. A game different among the rest! Completed CE: This game is worth the money. The story was excellent. You start out in present time to end up 150 years in the future after an accident that leaves you in Chyrostatsis. You are sent to Mars and there discover what happened to the planet and how life started on Earth. And you discover something you never expected to find. Something you thought was gone forever. The graphics beautiful, the music great and the puzzles are easy to not so easy in regular mode. I do recommend to buy the CE because the game isn't complete without the bonus chapter. And collecting the memory cards adds more details to the story. I recommend this game to those who are looking for something different. Likes sci-fi and doesn't want witches, doom, gloom, or evil. Another great game that is sci-fi is Space Legends. Rated 5 out of 5 by _GYPSY_ from The storyline was the best This is my favorite game on here that I have played and I am giving most likely my only review of any game on here. Most stories on here are predictable or based on something familiar to us from growing up.. fairy tales, kings and queens, ghosts, mafia, all the usual interesting but not very fresh stories and characters. This one is different. I love love love that it is based in the far future. Then the characters could be anything scripted by the authors imagination, and the technology and culture likewise. I love seeing the worlds then and the 'train' and the pod where the researchers live, and trying to use the more unfamiliar aspects of this new environment. The alien beings are great and give a feeling of excitement, the same that the researchers on the planet might have felt, wondering what new things we can learn about or from them! Of course it all comes to matters of the heart in the end, and that was the most poignant of all.. very sweet and it brought it all together. Rated 5 out of 5 by marstn from The Game of any Year! I bought this game well over a year ago and loved it then. I find myself coming up with new names so I can go through it again and again. It's that kind of game... The graphic, sound, and story crafting are wonderful. I love the games, they still challenge me and make me think. Waiting for a sequel... I'll buy it, sight unseen since this game was that great!!!! I recommend this game for years of enjoyment! 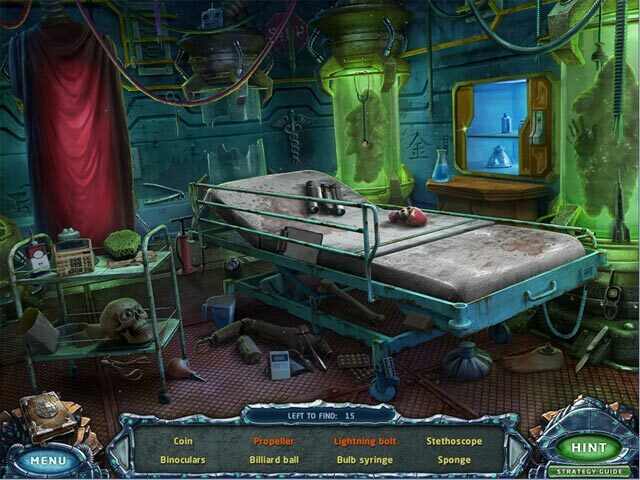 Rated 5 out of 5 by bookdreamer22 from Play this game right now! I can't say enough good things about this game! Great storyline, combining sci-fi, a mystery, a love story...Stunning graphics, they make you feel like you're moving with them. I wish it were longer, only because I didn't want it to end! 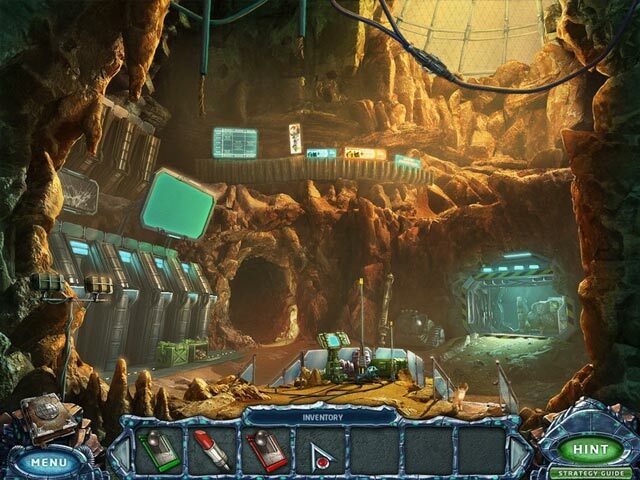 Rated 5 out of 5 by ChronoLegion from Amazing sci-fi game with an engaging story and a fun twist I loved the game, exploring Atlantis and then an abandoned Martian base, solving the puzzles, discovering what happened to the Martians. 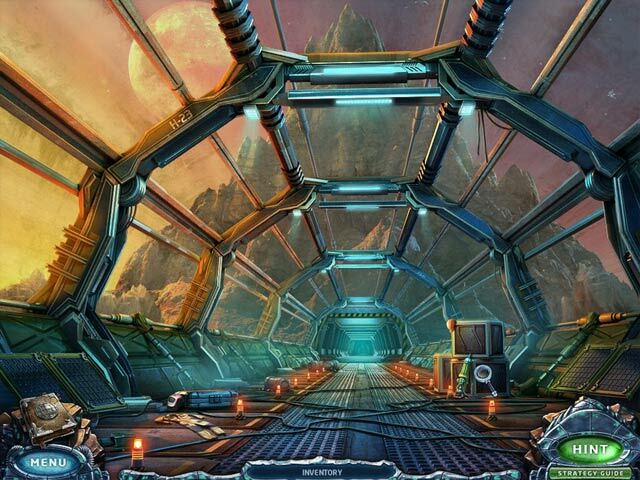 There are sadly too few sci-fi-themed hidden object games of the non-time-travel variety. Along with the Empress of the Deep series, this is my favorite Big Fish game.